This is the Key art for Cities in Motion I (Paradox Interactive & Colossal Order). 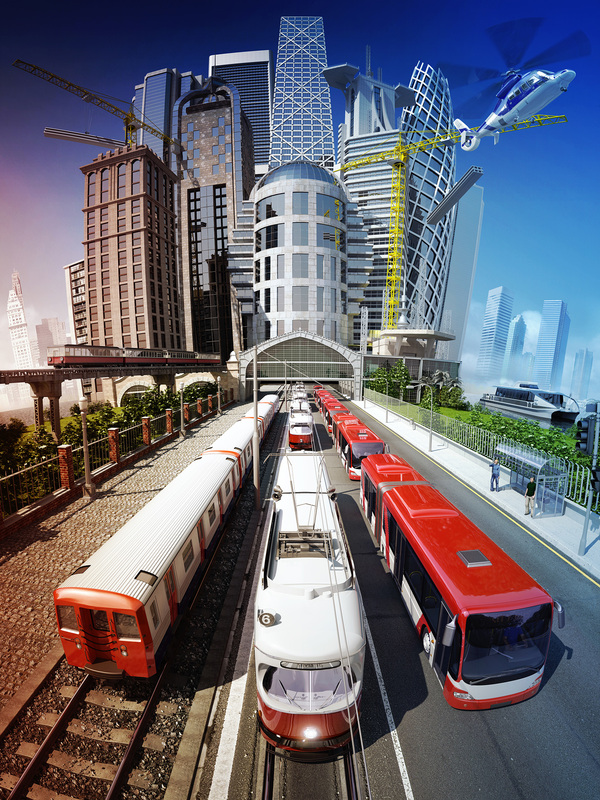 The main objective in this keyart was to illustrate the ability in game to develop transport from various time periods so on the left there is trams and buildings from early 20th century and transitioning into more modern transport and architecture on the right, While some in game models were supplied all the models had to be created entirely or purchased as stock models due to the low resolution of the game assets. I was responsible for the completion of the project from concept to final art and retouching. Below is how they looked on on the boxes.